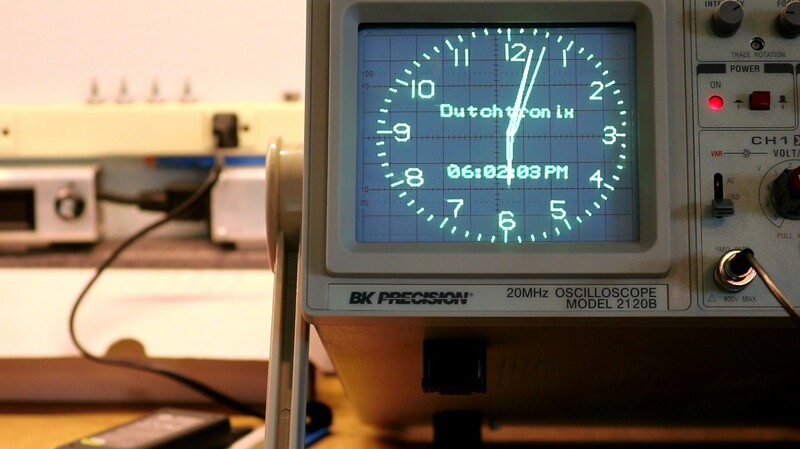 I was browsing the forums one day at EEVBLOG (where they like to talk about oscilloscopes and DMMs all day long, every day) and I saw mention of the Dutchtronix scope clock. 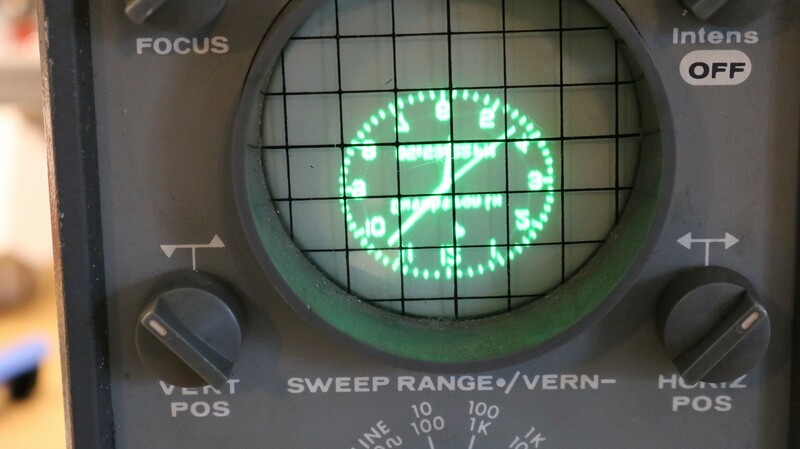 Deep down I knew it and scope clocks like it existed, but I’d never taken the time to order one, until now. 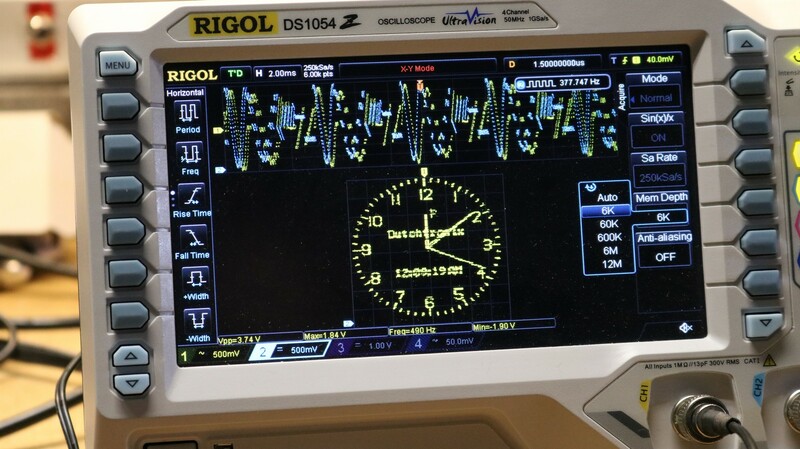 So what is a scope clock? It’s a small PCB with a microcontroller that outputs the appropriate X and Y signals to turn your oscilloscope into an analog or digital clock. Why would you need such a thing? It’s purely a frill, since it’s going to tie up a perfectly good oscilloscope. I suppose you could build your own clock using a CRT, high voltage supply, and some drivers. I’m planning on doing that at some point whenever I get the spare time to learn whatever I need to do to get my own CRT up and running. In my opinion the BK Precision Analog Scope is the best of the lot, producing the clearest image. My newest scope, the Rigol DS!054Z suffers from a grainy picture because of the way it does XY mode — it’s not a true XY mode, it’s really just sampling both channels in YT mode and then computing the XY data from it. You also can’t go full screen XY mode with the Rigol. The Eico 430, a very old scope filled with vacuum tubes has no invert control and doesn’t even have a DC mode. It’s always operating in AC mode, and that causes some variation in the up/down position of the display, leading to a fuzzy image on camera.